Professor Roberta Gilchrist (Research Dean for Heritage and Creativity), has become the first woman to win the Current Archaeology award for Archaeologist of the Year. 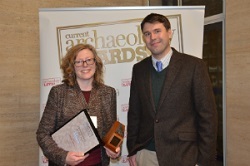 The award recognises Roberta’s recent research on the archaeology of Glastonbury Abbey, in which the reassessment of archaeological records revealed that several of the Abbey’s best known archaeological ‘facts’ were in fact myths themselves, perpetuated by excavators influenced by the abbey’s legends. Roberta’s research attracted widespread attention from both academic circles and international press alike. Cultivate your human relationships at work. Invite a colleague for coffee. Walk down the hall and knock on a door instead of sending an email. When a problem’s got you stuck, walk to the library to return those books, explore an unknown street, find your own “Sandwalk”. Give your mind the time to be carried by your body and roam free. Be mindful, look around, be in the moment and be aware. Be with your students as they learn. Be in the moment with your research, even when it’s frustrating. We’re so lucky that our field allows us to follow our curiosity. Here again, we are lucky. Each time we redesign our courses, each time we approach a new aspect of our research, each time we’re given a new administrative task, we have an opportunity to learn, which is vital to our brain’s health and our well-being. Be generous with your time. We are generous every time we help junior colleagues and students, create a postgraduate support group or work for our profession. Do you have any tips? Is there any additional support that could be offered to staff and students? Do you feel you have a good work life balance? Could it be improved?………….. In September 2014 a conference discussing ‘Is gender still relevant?’ took place at the University of Bradford. 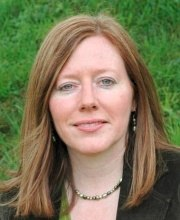 Dr Karina Croucher was conference lead, having secured funding from the British Academy. Karina is a Lecturer in Archaeology at the University of Bradford. Her research interests include Funerary Archaeology, Archaeological Theory, Prehistory, Identity, gender and personhood, as well as interdisciplinary research into death and dying and end of life care. She is author of Death and Dying in the Neolithic Near East (2012, Oxford University Press). The ‘Is Gender Still Relevant?’ seminar, sponsored by the British Academy, examined the state of play in gender research in the historic disciplines, and asked if (and why) we still need to debate gender issues, including feminism, masculism and gender fluidity. Despite over 30 years of campaigning and policy, why does gender remain a key issue today? The event discussed both research and academic practice and welcomed participation from all career stages, particularly early career scholars. They were also keen on perspectives from all genders – this isn’t just about women! 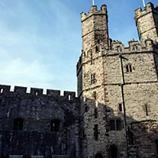 On Thursday 29th February BBC Radio 3 broadcast ‘The British Castle: A Woman’s Place’ by Roberta Gilchrist (Head of School). Roberta asks – can we re-gender or re-people the Medieval castle? How do we begin to find women? Merry Christmas SAGES! I have chosen to support Oxfam’s ‘Girl Power’ to match our commitment this year to Athena Swan and Gender & Fieldwork. This gift will help enhance the skills of women worldwide so they can stand up for their land inheritance rights, tackle the taboos surrounding domestic violence or gain influence by becoming business or community leaders. Leadership and management training along with broadcasts, protests, petitions and street theatre are collectively changing the lives of women for the better. This gift supports our Investing in the Future (IN) projects. Having support like this makes it easier for Aasi and other women to stand up for their rights. Aasi Mallah and her family were awarded four acres of land by the provincial government in Sindh province. But villagers who disputed her claim evicted her. We are helping her and other women in Sindh province, Pakistan to pursue their cases by providing legal support and representation. We’re also helping to spread awareness of land rights among poorer farming communities, to turn more women into landowners. Because of your gift today we’ll be able to help someone else like Aasi. Thank you.